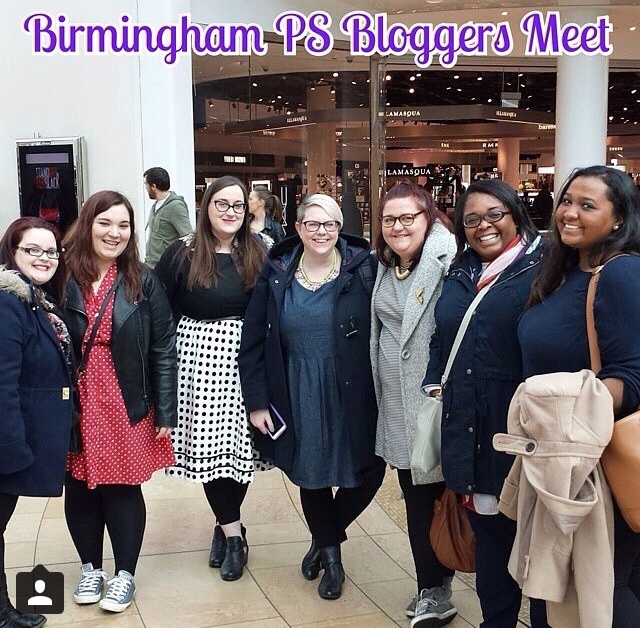 Back in March I made my way to Birmingham to meet some wonderful ladies for a PS blogger day out shopping! It was an great day, I can't remember the last time I laughed so much whilst shopping and more importantly felt comfortable. So, whilst we were in Evans we all decided to try on some Scarlett & Jo dresses. It's been a while since I tried any of their dresses since I did this review. I knew when I saw this dress on Hollie from Pretty Big Butterflies that I would have to purchase it. The print and colour are stunning, something quite different to what I would normally go far. 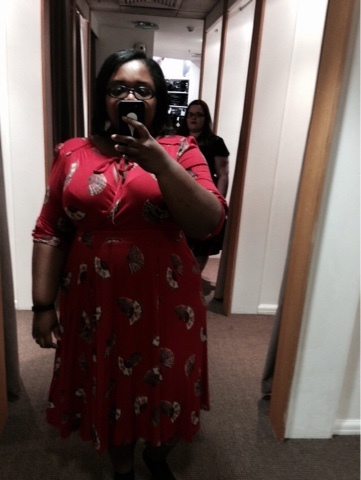 Then I saw a tweet from Kat - A Curvy Cupcake saying that the dresses were on sale! I did a little happy dance when I saw this one was down to £20! I ordered a size 22 and 24 as I couldn't remember what size I tried on in Birmingham. I absolutely adore this dress. The way it fits makes me feel so good, I love the way it nips in at the waist and flares at the bottom. It's probably a little shorter than I like but I can forget about that as it's so lovely! It also has small shoulder pads, I normally hate shoulder pads with a passion. I've had quite a few items with them in and always cut them out. They work on this dress though, they add to the shape of the dress in a very subtle way. Unfortunately I couldn't see it on the website anymore but there were lots of other lovely dresses which you can take a peek at here!